Nammourah Esfanjiyeh has another name which is Nammourah Espaniyeh. 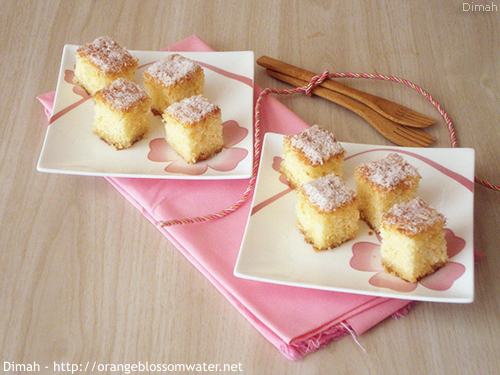 It is sponge cake, prepared from (all purpose flour, semolina flour, desiccated coconut, baking powder, eggs, sugar, milk, ghee, vanilla), then sugar syrup is poured to baked nammourah. Khebbeizeh or Khoubbeizeh or Khubbazeh is a wild plant commonly known in English as mallow, Generic name is Malva Parviflora. 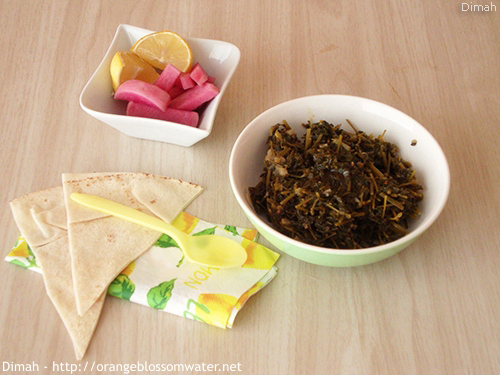 We use it in this simple dish which consists of khebbeizeh, onion, and paprika all cooked in olive oil. I rarely cook this dish. 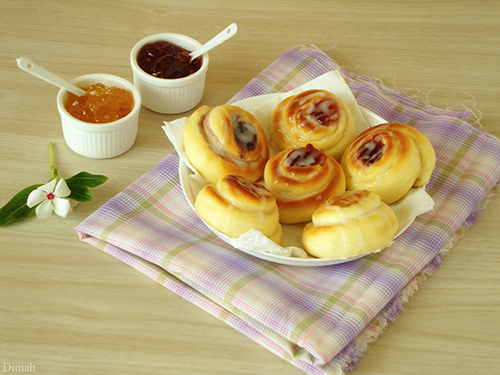 I’ve participated in a competition on facebook with my picture of “Homemade Jelly Rolls”. The winner will by decided by judges and the number of likes received on the picture. The winner will get a “Canon 550D”. If you see that I deserve to win, so please go to the link (http://on.fb.me/ZEADBp) and “like” my picture, also ask your friends for that.